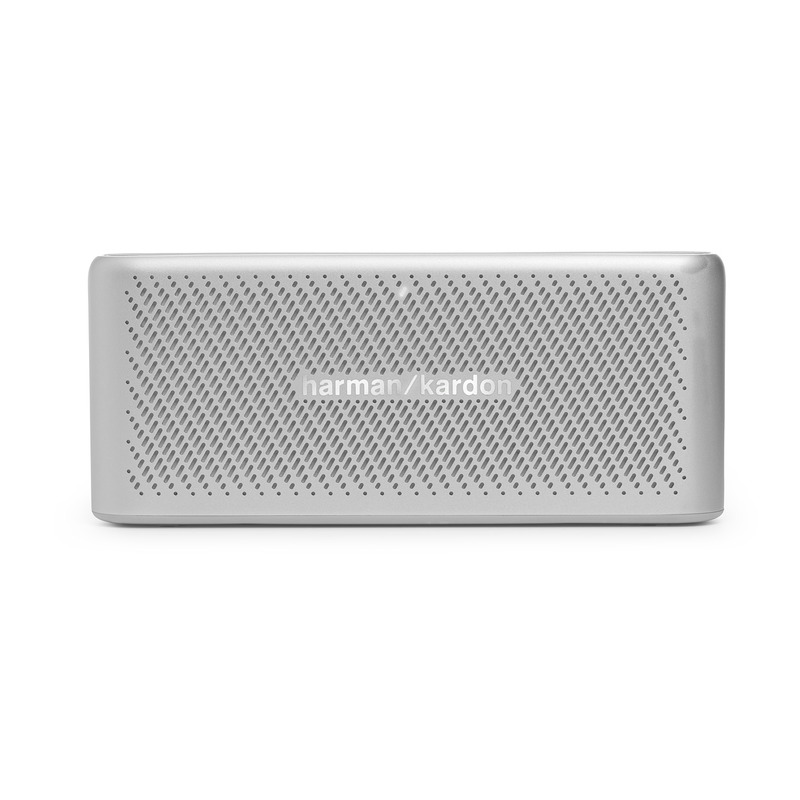 The Harman Kardon Traveller is a light, compact wireless travel speaker that doubles up as a conferencing system and device charger. The aluminium unibody construction lends strength but, at 300g, is light enough to carry in your pocket – and a rubber base helps damp vibration. A leather insert on the control panel adds visual and tactile contrast to the metal body. The dual microphone and speaker quality help to make conference calling crystal clear, while Bluetooth connectivity allows you to stream music from your device. And a built-in 2500 mAh power bank provides enough power to charge a phone. H: 6.7cm; W: 2.75cm; L: 16cm. Rated power: 2x5w.